...what I can do about all these baby hairs that are like two inches long right around my ears? One of the fabulous postpartum joys in life! Luckily, I never experienced significant hair loss (like I've heard can happen), but these baby hairs are a real pain in my you know what. 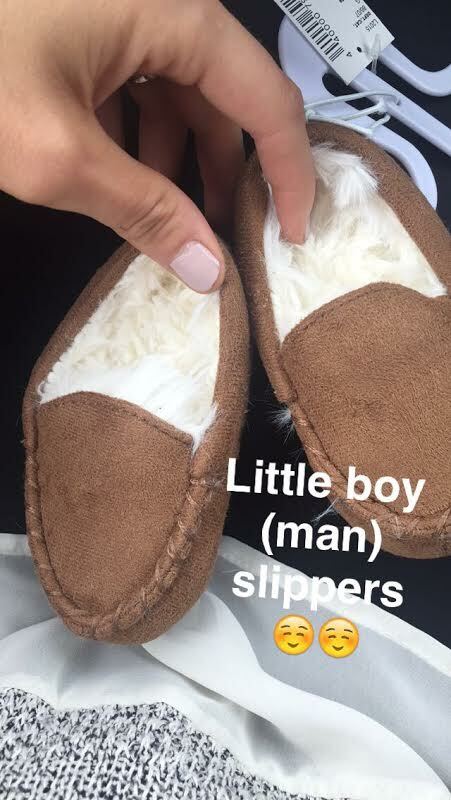 ...the level of cuteness of these baby boy slippers? I'm gonna give 'em a 10. They'll get an 11 if they actually stay ON his feet. ...your favorite inexpensive but good Pinot Noir or Pinot Grigio? No really, I need a new one! ...how to pull off living half the year in Florida and half in Ohio? 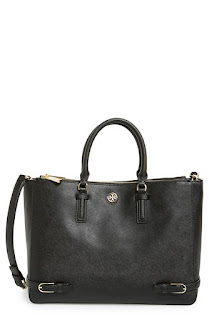 ...if you saw that this popular Tory Burch bag is marked down?! I got this bag two years ago in a blue shade and it's easily one of my most worn bags because it's so versatile. This beauty is another favorite, but not on sale. ...what you thought of the premiere of Pump Rules? I'm just gonna lay it out there-NOT as good as I was hoping. I'm over Jax and his nose problems. Along with them still making Kristen apart of the show. Am I the only one who feels this way? 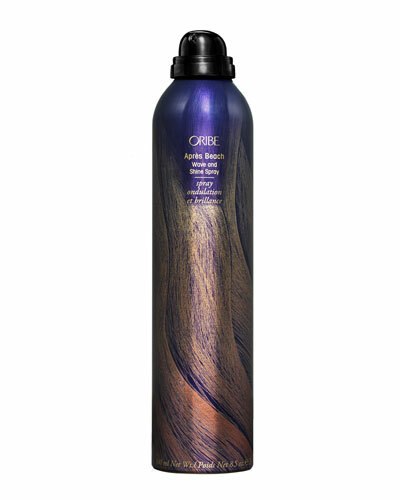 ...if you've tried any Oribe products? They are pricey, but worth it. I got this beach wave and shine hairspray in a sample size and fell in love with it. It's perfect for those lazy hair days and is one of the only products that actually gives me good waves. ...how it's possible that I have almost all of Camden's Christmas shopping done already?! This is TRULY some sort of miracle. ...if you've downloaded Target's 'Wishlist' app? You can add products for your little ones and get 10% off items by creating a wishlist. I used it the other day online, along with a 25% toy purchase, and ended up getting about $80 off my total order. Also, the app 'Santa's Bag' is pretty cool too-you can make lists and budgets for everyone you want to shop for and mark things off as purchased or still need to buy. Love it! ...if we can have a few more 70 degree days like yesterday? 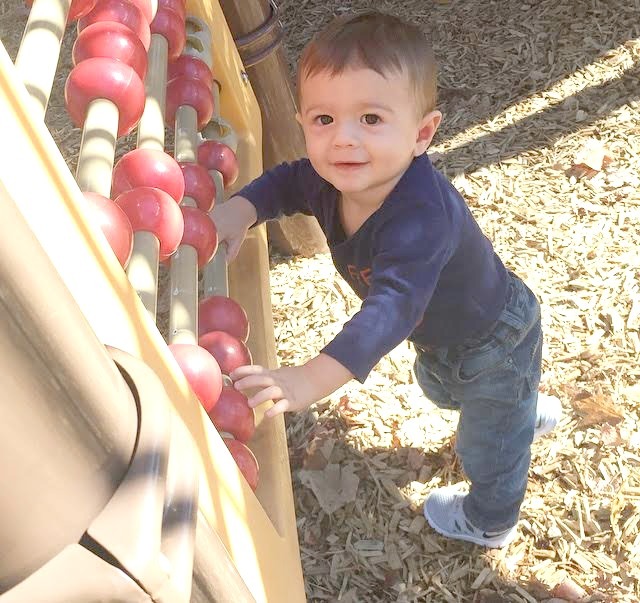 I had so much fun taking Camden to a nearby park to play and went for a long walk! Now that he's getting close to a year old, I'm realizing more and more how thankful I am for all the days I've gotten with him during the week. What are you wishing people would tell you? Spill! Happy hump day! I haven't watched Pump Rules yet, and I'm not even excited about it. I'm over Jax. And Kristen. And most of the people. Why did I even dvr it? If you figure out what to do with those baby hairs let me know. Ugh. You aren't alone. Liam starts crying BEFORE we even put him on the changing table, and you would think we were trying to kill him with the fit he throws! I'm hoping we'll grow out of it, but it's been happening for MONTHS now! My baby hairs are around my forehead hairline and lately looks like I'm rocking SUPER SHORT bangs, so you're not alone there, either. And I fell asleep during the Pump premiere (#momlife), but the season preview looked like it might get better! My favorite pinot noir is La Crema! Peyton is still crazy with diaper changing and he's 2! They only get stronger. :) I love Mirrasou Pinot Noir - it's definitely inexpensive. Lastly, is the 25% off toy Target deal over?!? We have his birthday and Christmas! OMG! You read my mind with the first 2!! Bill and I have to tag team Cam during diaper changes haha! And my baby hairs around my hairline are my biggest pet peeve at the moment. I have to wear one of those elastic headbands when I wear my hair up bc hairspray won't even keep them down! And I still love my Target tunic from last year! Someone complimented me on it in Trader Joe's the other day! those. damn. baby. hairs. so annoying! 14 months out & they are still killing me! sorry sister, hope it gets better for you. side note, vanderpump rules..i need the good stuff. stop with the same stuff like jay's nose, like you said. looks like theres going to be sooo much drama this season & i seriously cannot wait! 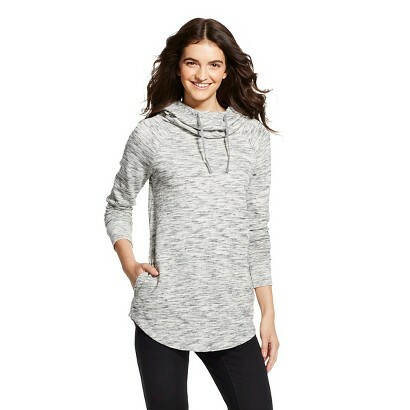 I bought that target tunic and love it as well! thanks for the tip on those two apps! Though Ive slowly been accumulating xmas presents for my kids, I still have a ways to go, and those will definitely be helpful! What did you get Camden for Christmas? My son is just a few weeks older than yours, and I'm not sure what to get him. And those baby hairs ughhh!I look like I chopped my bangs off in the middle of my forehead. I can't wear my hair back at all.. I second the La Crema recommendation! Ahh I forgot pump was even on! Too funny about the diaper changes - P hates them too and weirdly we give her the nose frieda to distract her. I usally blow into it like a trumpet and it keeps her occupied long enough to be entertained. That or the remote - the remote is always coveted! Ecco Domani from Northern Italy for the Pinot Grigio. It's approximately $40 a bottle at my favorite restaurant, but $10.99 - $13.99 at grocery/wine stores. You can't go wrong with any of the Naked or Barefoot wines either. Pump Rules, definitely not a Kristen l, Jax, or James fan. Cheers to your weekend! So lovely boy, Thanks for your sharing for us. So lovely boy, Thanks for your sharing for us. http://www.gcmstore.com/jewelry/.